Kailash Mansarovar is a spiritual journey to rediscover yourself amidst the enchanting landscapes of the Himalayan ranges. 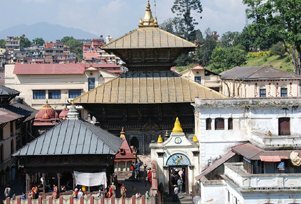 The trip begins from the magnificent city of Kathmandu from where you will visit several places of religious importance like Nyalam, Saga, Mansarovar and many others. These beautiful places serve as a divine as well as panoramic retreat from the humdrum of daily life. Take a dip in the holy Mansarovar Lake and feel spiritually enlightened. With our 13 days tour package, embark on the sacred Kailash Mansarovar Yatra to visit the abode of Lord Shiva and feel blessed. After arriving at Kathmandu airport you will be received by the TMI representatives and they will make arrangement for you in the best hotels of Kathmandu Dinner and overnight stay at the hotel. After morning breakfast at hotel, you will be transferred to Pashupatinath Temple for darshan and again you will come back to the hotel for lunch. For security reasons cloth inspection will be done and you will be briefed about the tour in the hotel. In the evening you can stroll around the marketplace of Kathmandu which is located near to the hotel you are staying. After an evening in the market you may return back to hotel for dinner and to take rest to prepare yourself for the next day voyage. Third day of the journey is the day for security and immigration checks. After breakfast you will be transferred to Tibet which is about 150 Km and on your way to Tibet you can have lunch. After completing the custom and immigration formalities you need to head towards the Tibet border (Zhangmu). At the border you will meet with a Chinese guide who will be ready for you with a land cruiser and driver to make the voyage convenient. On your new vehicle you will be transferred to Nyalam dinner and overnights stay at Nyalam Lodge. The 4th day you have leisure for own activities. You will have the complete day to become accustomed about the new country and explore the food, culture and people of the country. All the meals are offered by the Lodge. You can explore the market areas to have fun and gather information. After breakfast you will head to Saga which is 250 km away from Nyalam. On your way to Saga you can enjoy the panoramic views of Mt Shishapangma, Gauri Shankar and other mountains from the Lalung La Pass. Lake Pikusto is another attraction that you can explore on your way to Saga. Dinner and overnight stay at the hotel. 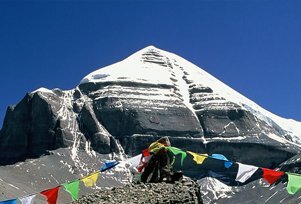 On the 6th day you will have the darshan of Holy peak Kailash Mountain and Manasarovar Lake, both this places have a mention in the epics of Hindu religion. On your way to these places you will be provided with lunch and dinner and stay at camp Horchu. In the first half of the day you can experience the performance of hawan and puja at some of the popular temples of the place and in the second half you need to head to Darchen through Manasarovar Parikrama point. You need to dine, stay and relax at tent. 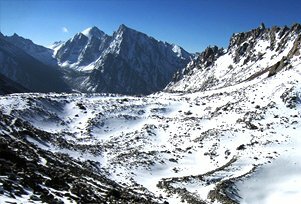 After breakfast you will leave for Tarboche and Yam Dwar and from there you will start trekking towards Diraphuk, this is the popular and known Kailash Parikrama. On the way you will be provided with lunch and dinner at the camp where you will stay overnight. Get ready to trek back again. All tourists will trek to Dolma La Pass and during your trekking you can enjoy the scenic beauty of the mountains and also you can take rest for sometime and then move down to Gauri Kund. This is the toughest trek so it is advisable to carry light luggage and bags while trekking. From Gauri Kund you will head towards Zuthulphuk beside the river banks. After reaching Zuthulphuk you need to stay overnight in camp by sharing with other tourists. On the 10th day you will be transferred to Paryang through Mansarovar Horchow. After taking your breakfast you need to trek for another 8 km to reach the point where you will find jeeps waiting to take you to the Darchen where parikrama circuit ends. Here you will be provided with lunch and then you will be transferred to Paryang through Mansarovar Horchow. Dinner and overnight stay in the Guesthouse. Post breakfast you will be taken to Nyalam where rooms are available for you in a pre booked hotel. Here you can have your dinner and stay overnight. After your breakfast we will drive to Zhangmu for custom and immigration checks. After lunch at guest house in Nepal border we will head toward Kathmandu. After arriving Kathmandu you will stay, relax and dine at pre booked hotel. Morning after breakfast transfer to Kathmandu International Airport for onwards destination.